Gary knew from his first days playing football at the age of 7 that he wanted to be a Goalkeeper, and it was a decision that shaped the rest of his life. Gary went on to play at the highest level there is in Ireland with Home Farm, Waterford Utd and Dundalk FC in the League Of Ireland where he made over 150 Professional appearances for these clubs in a career spanning over 10 years. Gary also represented Ireland at youth level where he earned 20 international caps. Gary is a great example to all Keepers, that hard work and dedication pays off in the end. Gary was not lucky enough to go straight into the League Of Ireland after his schoolboy days and had to drop to junior football to prove his worth with Leinster Senior league sides Cherry Orchard, Ashtown Villa and Ballymun Utd where Gary won a list of honours. After proving himself as one of the top keepers in Junior football Gary was snapped up by Home Farm(later known as Dublin City) and went on to enjoy a successful spell in the League Of Ireland and proved to be one of the most consistant Keepers during the 1990s. Gary also had a very successful spell playing Gaelic Football as a Goalkeeper where he played for top Dublin side Parnells where he led them to Glory in the Leinster Senior Championship. After retiring Gary decided to give some of his vast experience gained during 20 years playing at the top in Football and GAA in Ireland back to young Goalkeepers. 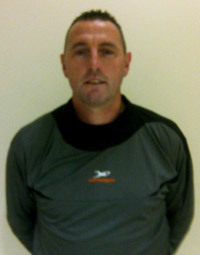 Gary has been Goalkeeper Coach at League of Ireland sides St. Patricks & Athlone Town and also coaches a range of top GAA county Keepers including Paul Durcan of Donegal, Gary coached Paul during Donegals successful All Ireland Championship win in 2012 where Paul was short listed for the GAA All stars team. Gary has now decided to team up with J4K where he can further help budding young Keepers achieve there dream of becoming Pro Keepers.